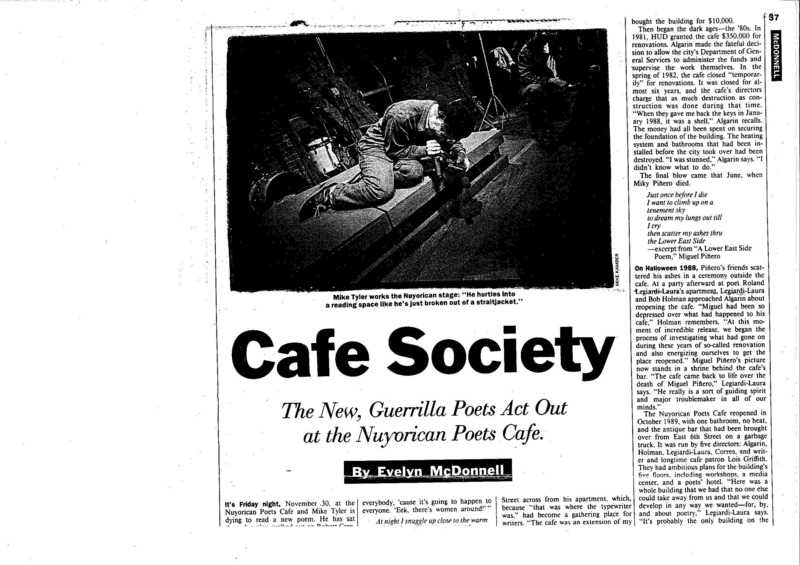 It was an honor and pleasure to catch up recently with Richard Goldstein, whose Pop Eye column for The Village Voice in the 1960s helped invent the field of rock criticism, and who was Arts Editor at the Voice when I worked there in the 1980s and ’90s. We talked about music, politics, writing, Paris, the Voice, feminism, and more in this interview for the Los Angeles Review of Books. 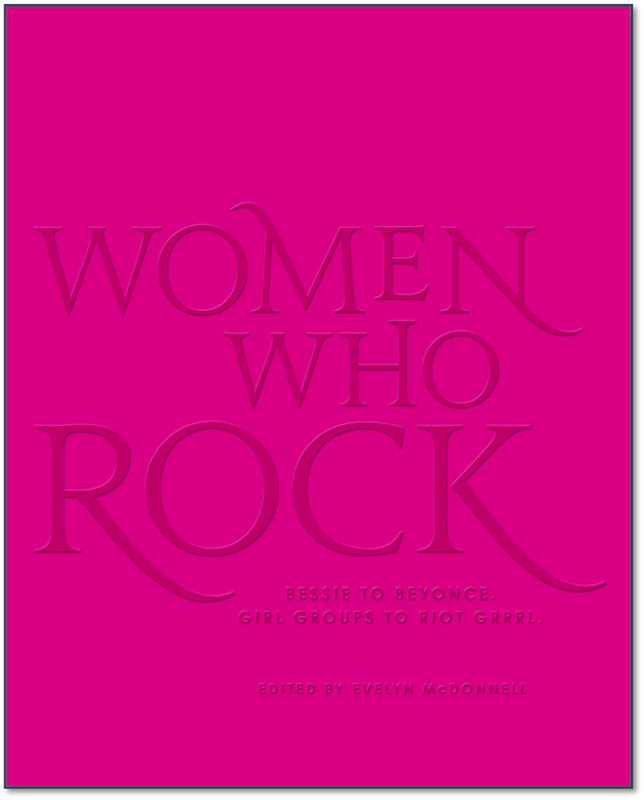 Since it’s quoted in today’s New York Times review of Jessica Hopper’s book, for today’s Throw-Back Thursday, I’m posting “The Feminine Critique,” the 1992 Village Voice article that became the launching pad for Rock She Wrote: Women Write About Rock, Pop and Rap, the collection Ann Powers and I coedited 20 years ago. Back then, the Times paid it no attention whatsoever. Today, Dwight Garner highlights it as “an excellent anthology.” Ah, the life of a pioneer. At least this work is being honored while Ann and I are still alive. Sometimes, survival is the best strategy. I’m posting the slightly rewritten version that was the intro to the book. Dwight Garner nicely cites Rock She Wrote — even quoting Karen Durbin from my “The Feminine Critique” intro — in his New York Times review of Jessica Hopper’s book. You know, maybe it’s time for Ann Powers and I to put this collection back into print …. 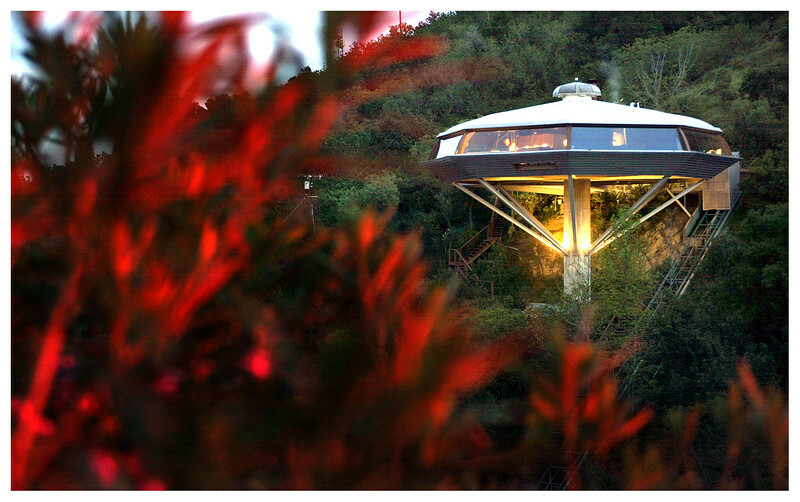 The John Lautner-designed Chemosphere rises out of the Hollywood Hills like a redwood and glass mushroom. The architect built the house for an aerospace engineer who had recently graduated from Loyola University, Leonard Malin. Malin raised his young family there, among the owls and squirrels. I interviewed him and his daughter Judith, also a LMU graduate, for the award-winning LMU Magazine. Marissa Paternoster has a great rock’n’roll voice. The lead singer of New Jersey garage rock trio Screaming Females (ie the screaming female of the Screaming Females) stretches vowels like they’re taffy, pinching and shaking them with a piercing vibrato. In their cover of Taylor Swift’s “Shake it Off” for the AV Club Undercover, “off” becomes a bellow and a solo. It’s the opposite of Tay-Tay’s thin reed, though the energy of this version owes a lot to that song’s compositional pop perfection. Plus there’s the way Paternoster holds off on playing her electric guitar until after the silly spoken break — and then rips into it, peeling off a lead as loud and unapologetic as her vocal burrs and the bangs covering half her voice. Yes, she screams with her guitar too. Think Chrissie Hynde, PJ Harvey, Corin Tucker, Johnny Rotten, Mick Jagger, David Johansen. As promised, I’m finally posting the Critical Karaoke I performed to Patti Smith‘s song “Till Victory” at my presentations at Stanford and Studio Grand Oakland last month. I actually wrote this originally for the senior awards banquet for LMU’s graduating English majors and Journalism minors. Critical Karaoke is a rhetorical exercise invented by UC Davis poet and professor Joshua Clover that I use frequently in my classes. The idea of Critical Karaoke is that for the length of a song, while that song plays, you speak. Probably, you talk about the song, but the way I use it in class, more often the song is a springboard for other reflections: aesthetic, personal, philosophical, whatever. Basically there’s a formal restriction within which you can do whatever you want. I pretty carefully timed this one to go with the song; I’ve put the lyrics at particular key moments in italics. This song has been a constant companion for me since I first heard it as a teenager embarking on what the song’s author elsewhere called the “sea of possibilities.” It’s by a woman who has been called the godmother of punk, and embodies the music’s revolutionary inspiration and aspiration. Patti Smith changed my life. Maybe, she even saved it. 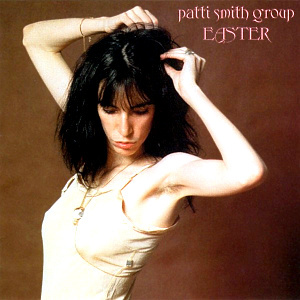 I was in high school when I discovered the Patti Smith Group’s 1978 album Easter, whose tremendous opening chords you just heard. The first song, Till Victory, is a call to arms literally. The track, which Patti wrote with her bandmate Lenny Kaye, uses an extended military metaphor, “legions of light” coming to the rescue, airplanes “in V formation,” winged victory. 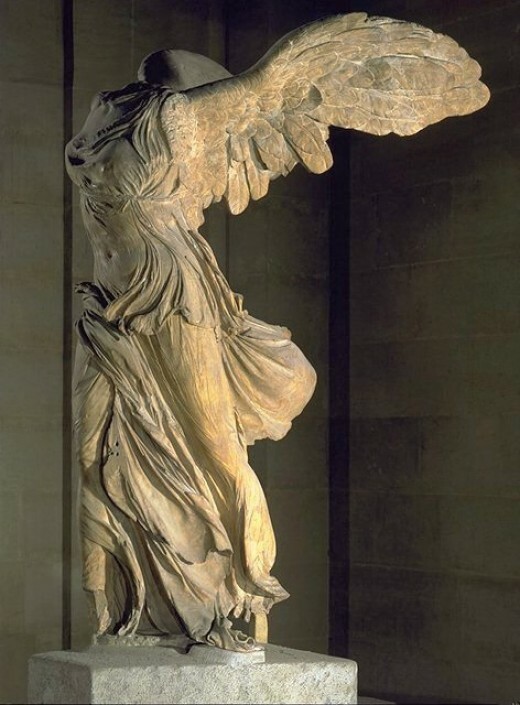 The song always brings to mind that sculpture of the Greek goddess, Nike, descending to congratulate the troops, bust thrust forward, wings back, the muscled lunge of her long left leg stopping the Louvre throngs in their tracks. “The nail the grail that’s all behind thee.” 35 years before she would play a concert at the Vatican, the first priestess of punk proclaimed a new era. Souls arise from the dead, on an album called Easter, written by a winged goddess who had just recovered from breaking her neck after falling off a stage. Smith declares victory over victories, or at least the ongoing struggle towards triumph. Music like this, art like this, calls us forward. Its maker imagines a world that could be, a world that I, emerging woman with wings unfolding to carry my big dreams out of a small town, found myself in. Till Victory became an anthem for me, that I have used ever since to rally my spirits in times of weakness and defeat, a goal post, a call to action. May it guide you as you sail out in V formation, to raise the sky.